Finding the time to slow down and disconnect these days is getting harder than ever. 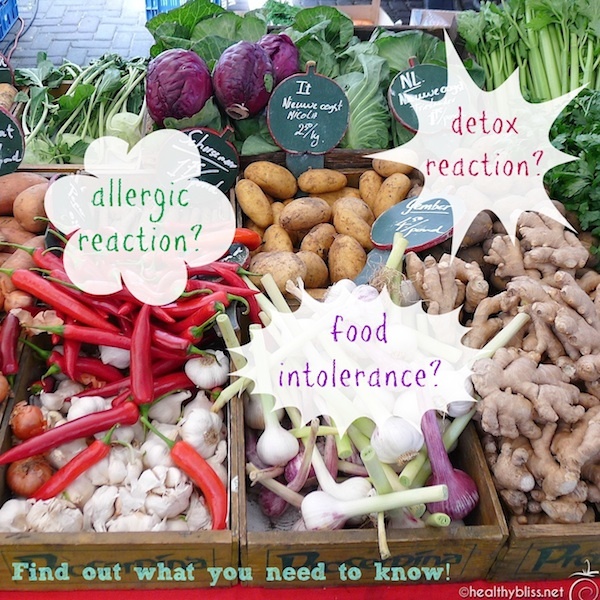 You want to do a detox, reboot and recharge so you can feel better, right? But when you look at your calendar, you’ve got work commitments, social evenings planned, and holidays, birthdays, anniversaries coming up all the time. There is always a reason why it’s not a good time to start a cleanse. How is it even possible to fit it in? 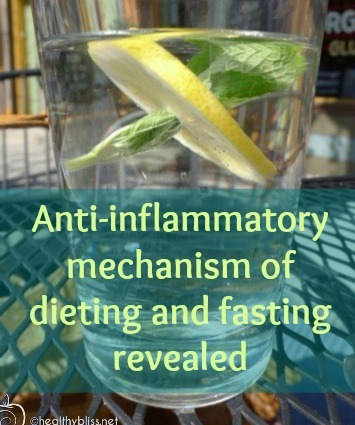 I’ve been doing juice fasting, water fasting and various types of cleanses successfully for over 20 years. In this article, I share my top tips for knowing and planning the best time to start your detox…and even better, how you can stay committed to actually following through and doing it! Plan your detox right at the right time and you will succeed! 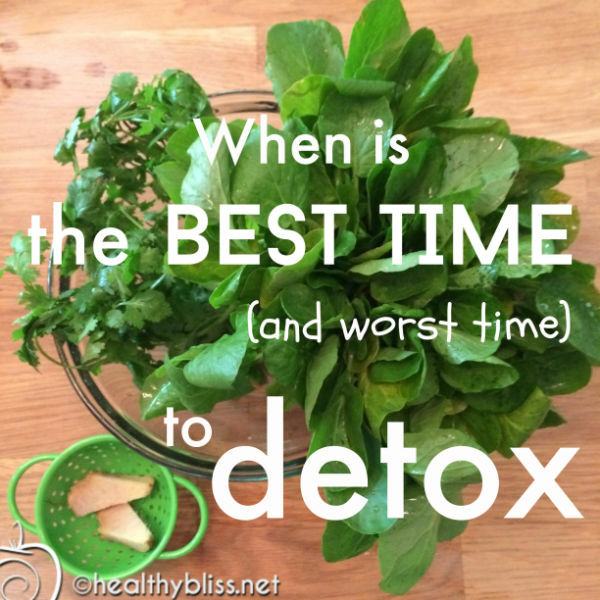 If you start your detox at the wrong time, chances are you will not succeed with it. Don’t make the mistake of convincing or forcing yourself to make a radical all-or-nothing approach in this. 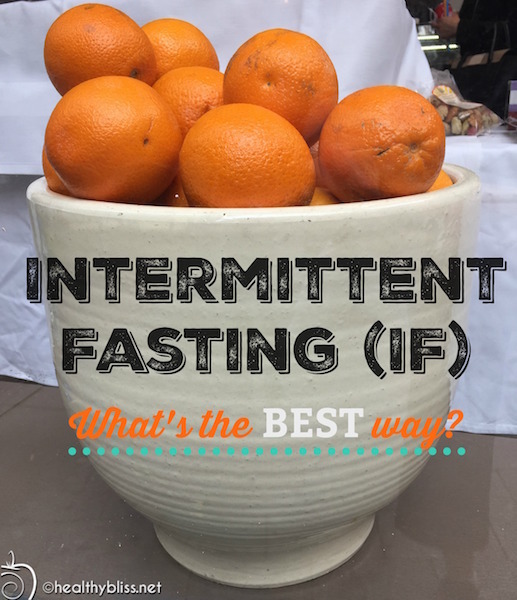 If you don’t have a plan going into your fast then you will not have a plan in breaking your fast and you will end up exactly where you started – feeling bloated, miserable, with bad food cravings and possibly bingeing – on food, alcohol, refined sugar, carbs or even recreational drugs. Trust me, I’ve seen and heard every version of these stories having worked with fasters for over 20 years. Learn from the mistakes of others and YOU can be a REAL success story! Working on your master’s dissertation and/or working on a huge school or work project. You may think that fasting will clear your mind and help your creativity, but you are just putting more pressure on an already high pressure situation. Focus on eating a healthy clean food diet, avoid refined sugar (that alone can help to clear brain fog) and boost your mineral reserve instead. In the middle of selling your house, planning a wedding, getting ready to move to a new country or starting a new job. I get it – you’re human and want to look your very best for a new chapter in life. You want to lose weight and have clear skin for that new job. No one wants rashes or pimples on their face for their wedding! It’s totally normal. However, all of these situations are already high stress moments in life. Give yourself some room to breathe by not adding more stress. Limit your food intake, go on a gluten-free and sugar-free diet but do not start fasting. Going through a break-up, divorce, death of a loved one or other emotional trauma. Positively this is not the time to add more to your emotional plate. Fasting can be intensely emotional as you stir up old molecules of emotion when toxins are being released. Have a good cry, seek support from friends and loved ones, and heck, allow yourself to do some emotional eating if you want….but do not start a detox now. Be your own best friend, not your worst enemy. Give yourself time and space to heal. After you are feeling better, you can think about doing a cleanse as part of a spiritual and emotional reboot. Starting a detox when you are energetically grounded ensures a much higher chance of success and allows you to focus on your long-term goals in making positive changes to your diet and lifestyle. Ultimately, good health is a journey… not a sprint to the finish line. 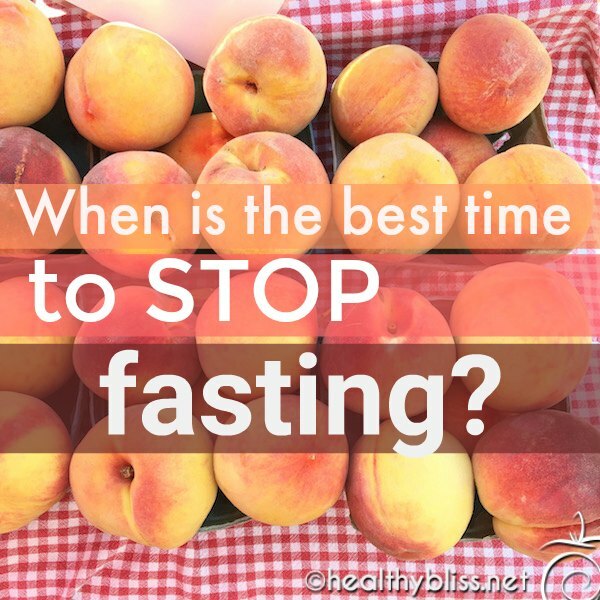 Fasting is a wonderful element to add to an already healthful lifestyle. A detox can be an opportunity to raise your spiritual awareness, to center your energy on a particular creative goal, to allow the body extra energy for healing and to engage in preventative maintenance, ie give your body an “oil change.” When you see and feel the results – better digestion, higher energy levels, more emotionally centered and that amazing feeling of being “healthy” – you will know it was worth it to wait for the right time. Long-term, you achieve good health in the day-to-day healthy habits that you commit to over the course of years. That can include meditation, yoga, exercise, making fresh food at home, eating more raw organic fruits and vegetables, having regular steams or far infrared saunas to promote detoxification through the skin, supporting your body nutritionally with variety and a rainbow of colors in your diet, having an Iridology analysis to determine the supplements your body needs (a-hem), getting alkaline, taking nutritional supplements to get all the minerals your body needs, doing other forms of detox such as parasite cleansing, heavy metal chelation or a liver/gallstone flush, getting regular and restful sleep and engaging in positive and loving relationships. It takes time to implement a lifestyle of healthy habits… you can’t do all of that in just one fast! Be realistic about your goals for what your detox may bring and also be ready and prepared to step back in the “real world” with a good solid plan. Breaking a fast correctly is just as important (if not more important) than the fast itself. Having a health coach can definitely help you transition at the right pace and continue from strength to strength. Are feeling emotionally, mentally and/or spiritually grounded, stable and ready to make a positive change in your life. Walking barefoot on the earth and wearing the color red helps to ground your base chakra more quickly. 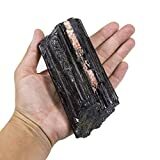 Good crystals for grounding energy include hematite, tiger eye, garnet, obsidian, and black tourmaline – so if you need help in getting grounded, these crystals can help. Have time, space and energy to work on your healing. Especially in the first few days or week, you’ll most likely need more time to slow down (I know it seems strange but it’s true!) . It’s best to schedule less and have no commitments to any major projects, deadlines, decisions, travel, or other activities that require a lot of emotional or physical energy. I once had someone email me saying she planned to start a 40-day water fast while selling and moving her house and also planning her daughter’s wedding. Oh, and she was going to start a blog to document the whole experience too. Talk about pressure! Needless to say, she didn’t last more than 2 days before quitting her fast. Put an autoresponder on your email, create a comfortable space for yourself and prepare to go within. Amethyst is a wonderful crystal for slowing down the “monkey mind.” If you feel your mind spinning while trying to slow down, try putting an amethyst cluster near your bed or in the bedroom to promote more relaxation and a restful sleep. Seeking positive emotional support and are able to avoid negativity. Some people are actually addicted to negativity and that in itself is a problem that should be addressed before starting a detox. External negativity can also be a real problem. You’d be surprised how quickly a little spat in the parking lot or someone making a snide remark on your social media can completely throw you off-track emotionally and actually be a trigger to breaking your fast. As much as possible, avoid stressful encounters or situations before you start your detox and have a support system in place for you to seek help if you need it during your cleanse. Here is another case where you can really benefit from having a health coach to be a non-biased emotional support guide. If you’re feeling the need for some unconditional love to help boost your heart chakra, try using kunzite or pink tourmaline crystals during meditation. 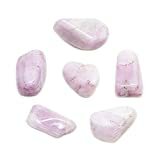 Kunzite helps to release anger, resentment and hurt while boosting the heart with love, acceptance and pure joy. 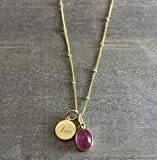 You can also lay a kunzite crystal on your heart chakra (center of chest) when lying down to go to sleep. 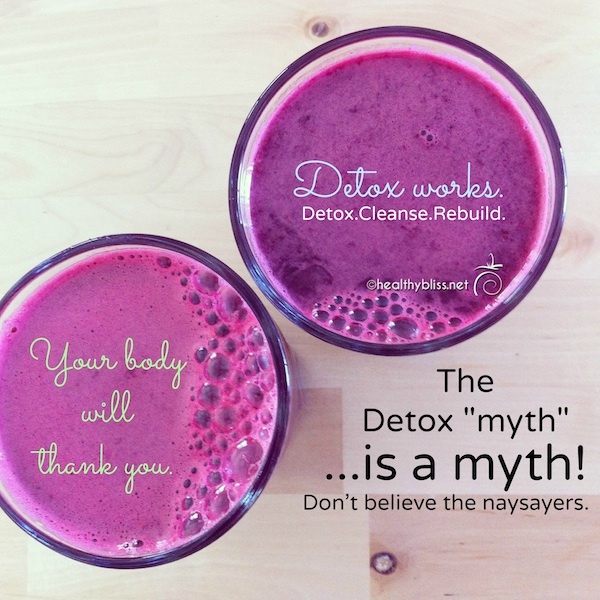 Remember: Any detox is better than no detox! As you start to navigate the world of cleansing, you may make the mistake of starting a fast at the wrong time in life. And that is OK! Having the courage to start a fast is a big thing and not to be underestimated. Even ONE day of fasting is better than none. Don’t beat yourself up if you quit early or if you didn’t realize how hard the detox would be and picked the wrong time to start. You can always try again at another time, a better time. The most important thing is to NEVER GIVE UP. Eventually you will get there, but not if you stop trying. In another post, I discuss how to know when to break your fast since that’s another essential element to success. Meanwhile mark your calendar for your next cleanse, start clearing your schedule and remember: ENJOY THE HEALING JOURNEY! Sterling Silver Genuine Garnet Pendant Necklace, 18"
Best AMETHYST Cluster – 1/2 to 1 lb. 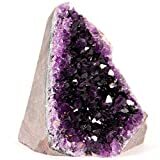 Feel the glow of this breathtaking deep purple crystal in your own personal space. Plus, BONUS mineral included. Amazing Super Size Amethyst Cluster – 2 to 2.5 pounds Powerful deep Purple Clusters. HIGH Value for Collector’s. Every Cluster has Unique Shape. Includes Bonus Mineral. Buying a juicer is a commitment to actually start juicing. Believe me, I wish there was a self-cleaning juicer out there too, but there isn’t! I consider this a more advanced stage of healthy food prep because of the added time and effort it takes to make juice. For that reason, I encourage you to really think about what you’re most likely to use on a daily basis. 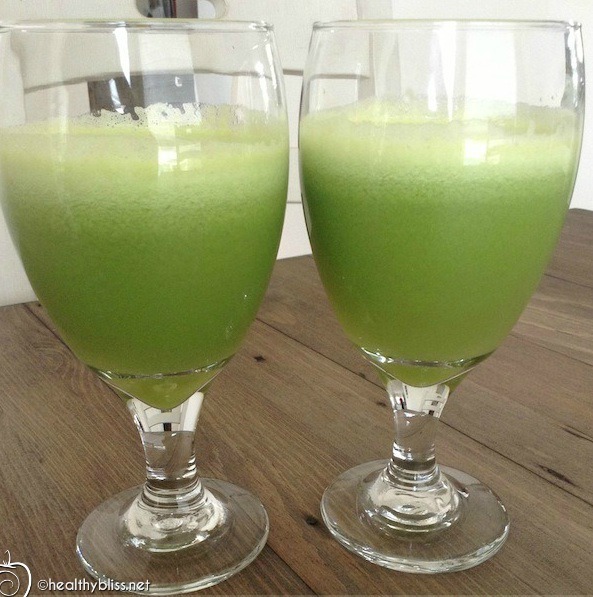 Do you have extra time to prepare ingredients for juice and to clean the juicer? 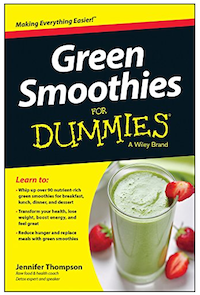 Or, are you more likely to blend a green smoothie that takes less than 5 minutes to make and can be stored in advance? 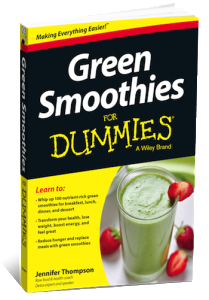 I recommend that you make green smoothies for at least 6 months before you even think about advancing to the world of green juices. 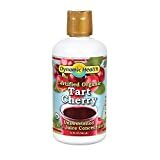 When you’re comfortable with the green smoothie recipes and ingredients, it will be much easier for you to make the leap into juice. When you’re ready, the next step is to decide what juicer is right for you. And if that wasn’t enough, there are actually 2 different types of juicers. If you’re not ready then take this information in as a side note, to be used at a later date, but don’t worry about the details too much now. Below, I explain the different types of juicers. 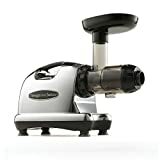 With juicers, there are two main types: masticating and centrifugal. 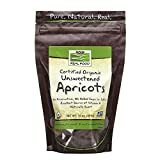 Those terms describe how the ingredients are mashed, spun and/or pressed and actually separated between a fiber and liquid form. The other main feature to look for in a juicer is the size of the shaft where you place the ingredients for juicing. 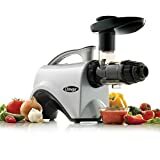 You will see some juicers listed as big mouth or wide mouth; that means you can take an entire apple or pear and easily fit the whole fruit in the juicer shaft as opposed to cutting it into quarter-size pieces and placing it in a smaller shaft. While it may seem that this feature makes it faster or easier to juice, it doesn’t change the cleaning time which is the most time-consuming part of the process. 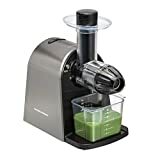 Masticating juicers are the best juicers for making green juice because the slow-press motor can easily squeeze the juice out of high-fiber leafy greens. Sometimes referred to as cold-press juicers, masticating juicers operate at a slow speed and produce a higher amount of juice. Masticating juicers can juice fruits, veggies, leafy greens and wheatgrass. They are usually sold online or in more specialty stores and they come at a higher price tag. Centrifugal juicers are readily available at normal retail outlets and are the most inexpensive type of juicer to purchase. 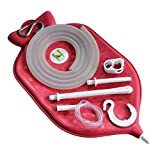 With a centrifugal juicer, the ingredients are pulverized through a fast-spinning blade that extracts the juice through a strainer. These machines can’t handle leafy greens, wheatgrass, sprouts or herbs and are better suited for fresh and veggies. Because of the faster spin, they make less juice per volume of ingredients. 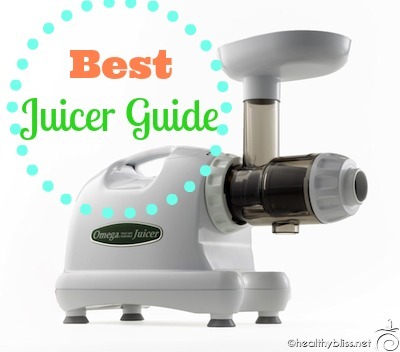 The Omega 8004 is my personal top pick of juicers for making green juice. It’s a masticating juicer, and in my opinion, is easier to clean than other masticating brands or models. 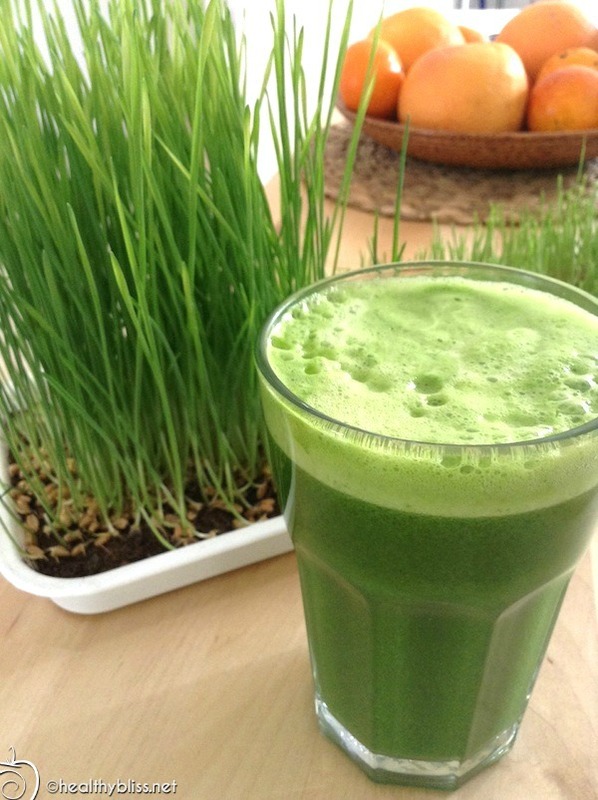 The 8004 has a great motor and can also juice wheatgrass (see below). 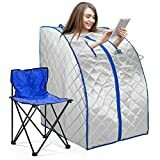 Price starts at $199.95. 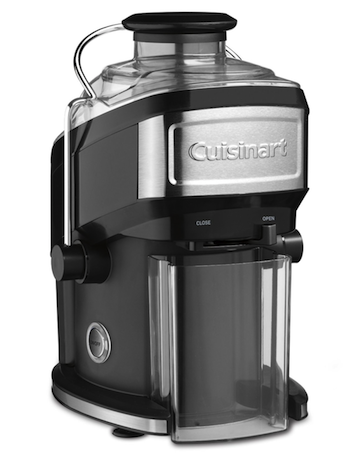 The Cuisinart Compact Juice Extractor is a centrifugal juicer that comes in at an affordable price with a nice design and a reliable brand name. 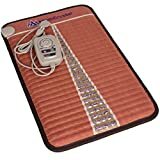 Priced at $89.00. 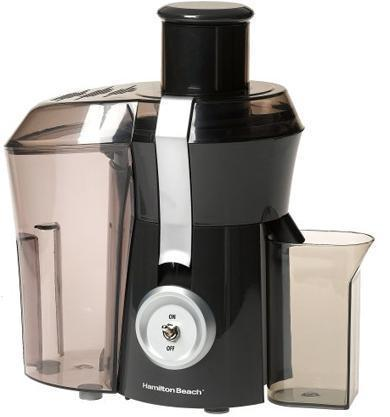 The Hamilton Beach Big Mouth Juice Extractor is also a centrifugal juicer with a nice clean, simple design. The fantastic price makes this juicer a great option if you’re on a budget. Priced at $59.85. My advice for how to clean your juicer is this: Do not drink your juice until after you clean the juicer! If you drink your juice immediately, you’re much more likely to move onto something else and forget about the juicer until later. By then, all the pulp will be stuck to the juicer parts making a bigger job to scrub everything clean. 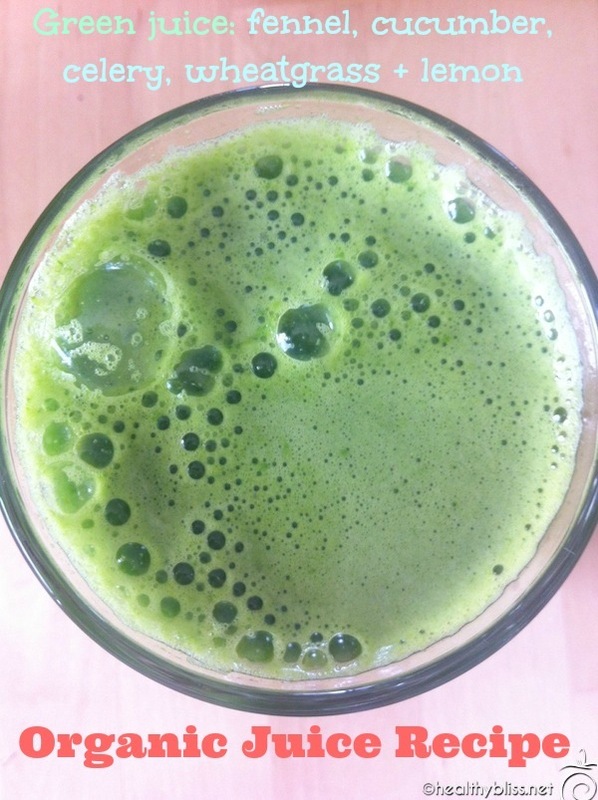 Your best bet: As soon as you finish juicing, unplug the juicer to make sure that the power is off. Take the juicer apart and rinse all the pieces with a sponge, warm water and dish detergent. Add the juice pulp to your compost pile if you have one. Once your juicer is on the drying rack, you can enjoy your freshly made juice! This is a house rule in my kitchen and it really works. 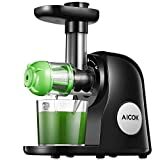 If you’re interested in juicing your own wheatgrass at home, you’ll need a masticating juicer. The Omega 8004 is a great model for making fresh wheatgrass. 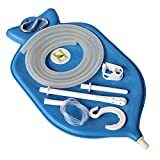 Other options include the Champion juicer, and the Hurom vertical slow-press juicer. That’s a great question! 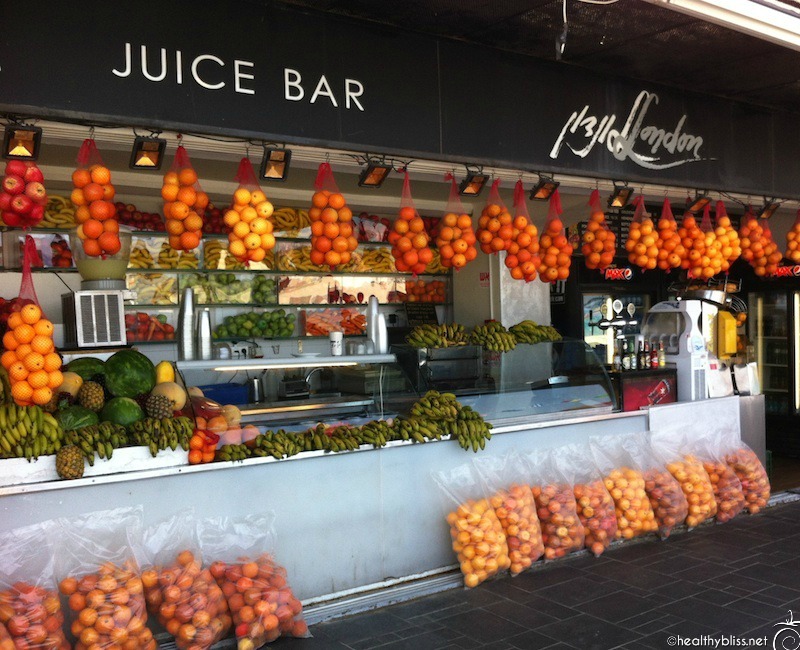 Find out more about whether or not you even need to juice here. Looking for a new blender too? Check out my guide on Battle of the Blenders: Which one is best? Before I met my boyfriend, he was a normal meat-eating guy and definitely a sugar and bread addict. Luckily, once we got together, he was open to trying my “rabbit salad” and “strange smoothies” ie. raw food style of eating. To his surprise, he immediately felt better and without any pressure from me, he decided himself to go on a high raw food and vegan diet! It was really great to witness his transformation. In the last 2 years, his energy levels improved, his skin cleared, his digestion improved immensely and he continues to look younger and younger. Because of such positive results, he even joined me on a 10-day and 14-day juice fast. 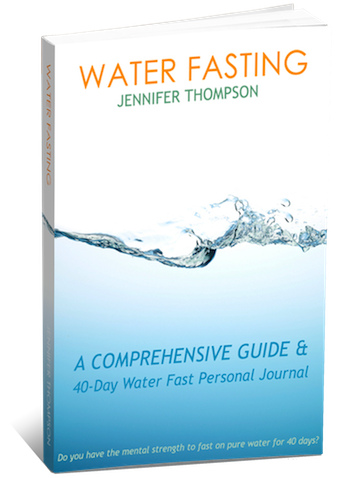 Most recently, he completed a 21-day water fast with me in Vilcabamba, Ecuador. The Results of His Blood Test. 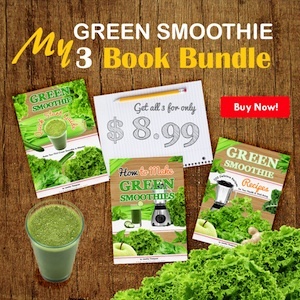 It’s easy to become anemic on a Raw Food Diet if you don’t eat GREENS! Over the last 6 months, however, he was starting to feel exceptionally tired. My schedule was pretty hectic with a lot of travel and we initially thought it was from all the buses, planes and changing hotels which would make anyone tired (including me!). But it just seemed to get worse. So, when we arrived to Israel, he went to the doctor and ordered some standard blood tests. The result: Low Red Blood Cell Count (RBC), Low Hemoglobin, and Low Hematocrit. What does that mean? He has a case of iron-deficiency anemia. 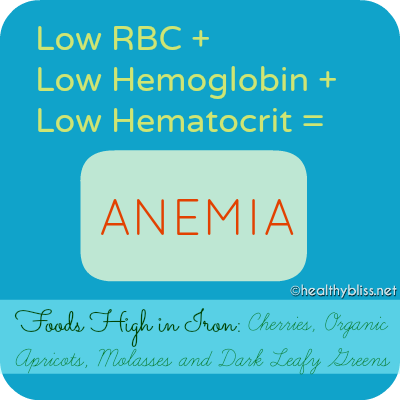 Anemia can occur for a few reasons, but is most commonly associated with a lack of iron in the blood. Iron is an essential part of hemoglobin, and low iron levels result in decreased incorporation of hemoglobin into red blood cells. Because hemoglobin normally carries oxygen from the lungs to the capillaries, anemia leads to hypoxia (lack of oxygen) in organs. This can make a person feel lethargic, dizzy, weak, generally unwell and even a bit foggy in the brain. Did the Raw Food Diet fail for him? As a side note, the last time I was tested for iron, it was just below the threshold of being too high! The doctor actually told me to stop eating red meat! I didn’t say a word but silently laughed to myself, because I haven’t eaten meat in over 21 years!! I knew it was from my daily Green Smoothie. Somehow my body knew how to hold on to just enough iron and not have too much. When we give the body what it needs, it knows what to do…that’s the internal intelligence of our healing system! The blood test results were a big wake-up call. The same day that he received the results, my boyfriend immediately started adding spirulina to his smoothies and started taking a liquid iron supplement. After only 2 days, he noticed the difference. His energy levels picked up and he had an easier time waking up in the morning. Now he is also making a conscious effort to eat more greens in his diet as well. He is not eating meat and has no interest to eat meat, but he did decide to try some plain vegan seitan (with no added flavors so no flavor enhancers). He cooks the seitan with some olive oil, organic cumin and cayenne pepper and adds it to a big raw food salad. (Note: Seitan contains wheat and is not a good option for anyone who is a celiac or sensitive to gluten.) He seems to be remembering to take his daily B12 supplement now too because he is just overall more aware of the importance of getting all the nutrients he needs! Because of what happened, I will also take an iron supplement for 1-2 months to help get my body back on track just in case I am deficient as well. 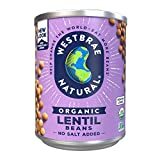 With over 8 months of non-stop traveling to Costa Rica, Panama, Guatemala, Ecuador, Peru and Brazil, we did not always have the chance to eat as much variety in our diets. For that reason, I could now be low in iron too. 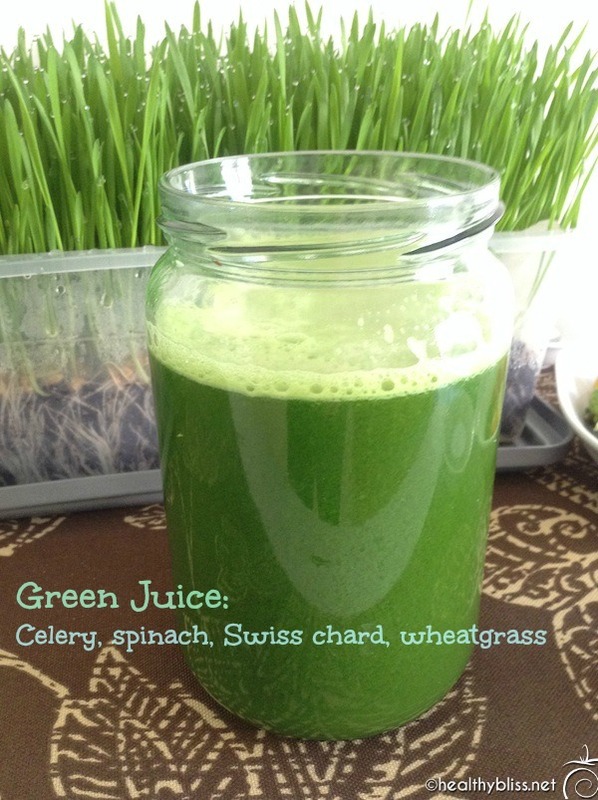 Living in one place makes it very easy, and I am now happy to be having 1 green juice, 1 Green Smoothie and 1 fresh wheatgrass shot per day along with my normal salads and fruit. 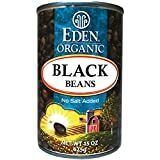 There are definitely vegan and vegetarian food options that are naturally high in iron, like cherries, dark leafy greens, molasses and/or organic apricots. Green superfoods like spirulina, chlorella, dulse or kelp are also good sources of iron. Having some organic powdered greens in a Daily Green Smoothie is a great way to get a healthy daily dose of iron. Rotating greens helps to get all the nutrients you need, so be sure to switch out your greens between kale, spinach, bok choy, parsley, beet greens, collard greens, Swiss Chard and whatever other edible fresh greens you can find in your local farmer’s market or organic supermarket. If you are new to a vegan or raw food diet, it’s a good idea to get your blood tested in the first 6 months to be sure you are getting all the nutrients your body needs. Whether you take an iron supplement is really up to you, but I don’t think it’s necessary if you are attentive to eating greens in your daily diet. 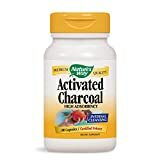 If you do decide to take an iron supplement, be sure to find one in liquid form because iron tablets (or pills) tend to have a constipating effect. If you become pregnant, you will need more iron and for sure, you should consider taking an iron supplement. In the Science of Iridology, we have a subtype by color called Ferrum Chromotose which shows an inability to store iron. An example of this subtype is shown here. 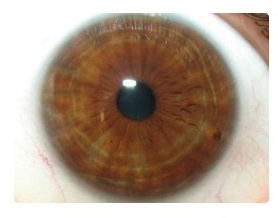 You can see the “tiger striping” or light brown and dark brown stripes in the iris. This is an inherited trait, and if I see this marking during an Iridology Analysis, I will always advise the client to be attentive to getting enough iron in their diet. It should be no surprise that my boyfriend has this marking in his eyes and I do not. If you have this marking, you are more likely to suffer from anemia, especially when there is a lack of high-iron content foods in the diet. On a daily basis, the only nutritional supplement I take is a B12 complex. I personally think it’s important for everyone to take a daily B vitamin complex, including meat-eaters. Most B12 is lost in the process of cooking and many people (especially meat-eaters) have reduced or limited absorption capabilities. Need more guidance? I offer personalized nutritional counseling, health coaching and Iridology sessions by Skype and email to help you achieve your best health ever! 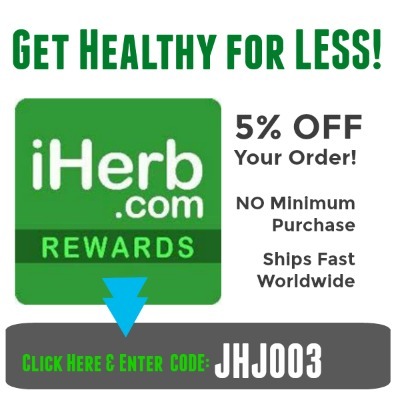 https://healthybliss.net/bliss/wp-content/uploads/2013/10/lowironanemia.png 400 400 Jennifer Betesh https://healthybliss.net/bliss/wp-content/uploads/2014/11/hb_logo_01.png Jennifer Betesh2013-10-27 08:08:462018-06-29 07:55:40My boyfriend followed my Raw Food Diet and got Anemia!